Was born on June 8 (21 N of page) in the village of Zagorye of the Smolensk province in a family of the smith, person competent and even widely-read in whose house the book was not a rarity. The first acquaintance to Pushkin, Gogol, Lermontov, Nekrasov took place houses when winter evenings read aloud these books. Began to write verses very much early. Studied at rural school. In fourteen years future poet began to send small notes to Smolensk newspapers, some of them were printed. Then he ventured to send also verses. 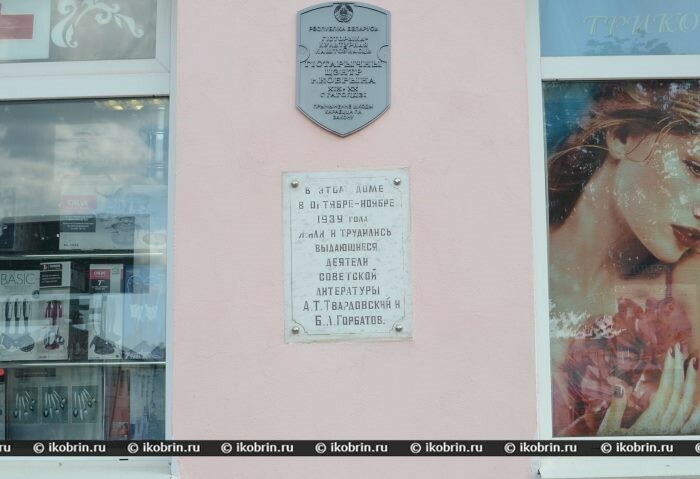 Isakovsky working in Rabochy Put newspaper editorial office accepted the young poet, helped him not only to be printed, but also to be created as the poet, exerted impact the poetry. After the termination of rural school the young poet came to Smolensk, but could not get not only for study, but also job because it had no specialty. It was necessary to exist "on cheap literary earnings and to pester editions". When in the Moscow magazine "Oktyabr" Svetlov printed Tvardovsky's verses, that arrived to Moscow, but "the same as with Smolensk turned out approximately". In the winter of 1930 it returned again to Smolensk where spent six years." To these years I am obliged by the poetic birth" — Tvardovsky told subsequently. At this time he entered teacher training college, but left a third year and studied up already at the Moscow institute of history, philosophy and literature (MIFLI) where he arrived in the fall of 1936. 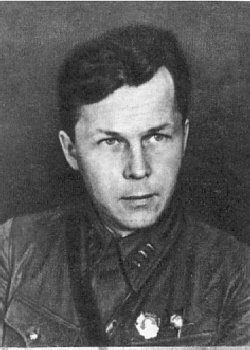 Tvardovsky's works were printed in 1931 — 1933, but he considered that about collectivization "Muraviya's Country" (1936) it began only with the poem as the writer. The poem made success at readers and criticism. The release of this book changed life of the poet: he moved to Moscow, in 1939 ended MIFLI, published the book of verses "The rural chronicle". In 1939 the poet was called in ranks of Red Army and participated in liberation of the Western Belarus. From the beginning of war with Finland, already in an officer rank, was as the special correspondent of the military newspaper. In September, 1939 at Temporary managements in Belarus the press organs were created. At that time in Kobrin there was neither printing house, nor the newspaper. Was decided to begin the edition of the povetovy newspaper "Trud" which first issues were printed on the manual machine. But there arrived the marching printing house soon. 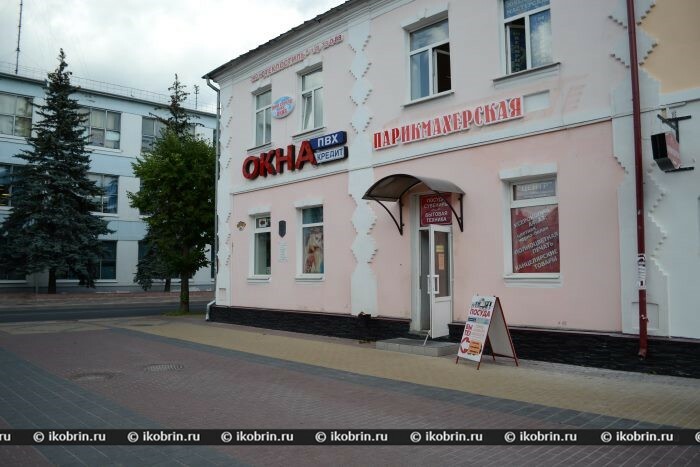 In Kobrin the staff of the 4th army in which the army newspaper of "the Hour Homeland" was issued was placed. In the house No. 1 on Suvorov Street there lived in October-November, 1939 the poet A. Tvardovsky and the writer Boris Leontyevich Gorbatov. After liberation of the Western Belarus Alexander Trifonovich got demobilize not at once. Maria Illarionovna (the wife of the poet) told about it in the letter to M. Kadet (the former war reporter): "The political department prolonged to it service life because in the freed cities editorial offices of newspapers were organized, their release was adjusted. Tvardovsky left the Western Belarus on November 10. For lighting in the newspaper of "the Hour Homeland" of military operations of the 4th army command thanked it officially". In the summer of 1938 I was called on courses of commanders of a stock. I ended courses with honors and was certified to a position of the commander of a battalion. Since then I am strong connected with army. Soon I was called again, already in my regiment (the 229th shooting) where I consistently was the chief of a staff of a battalion, replaced the battalion commander and, at last, with the assistant to the chief of a staff of a regiment on investigation. In this quality I participated in 1939 in a campaign to the Western Belarus. Then in the same 1939 it was thrown on the Finnish front. Participated in fights on the Karelian Isthmus. Had imprudence to write article to the army newspaper, and immediately by Puarm's order it was returned in "a primitive state", in the newspaper. After the end of the Finnish campaign all of us, writers, deactivated PUR. A. Tvardovsky and B. Gorbatov rendered assistance in the organization and issue of the Trud newspaper. From June, 1941 to August, 1944 the newspaper was not issued. Bo time of the Great Patriotic War was created the poem "Vasily Tyorkin" (1941 — 45) — the bright embodiment of the Russian character and public patriotic feeling. By Tvardovsky's recognition, ""Tyorkin" was... my lyrics, my journalism, the song and lecture, a joke and an introduction, informal conversation and a remark to a case". Almost along with "Tyorkin" and verses of "The front chronicle" the poet began the poem "The House at the Road" (1946) finished after war. In 1950 — 60 the poem "Behind a Distance — a Distance" and in 1967 — 1969 — the poem "By the right of Memory" where the truth about destiny of the father of the poet who fell a victim of collectivization forbidden by censorship, published only in 1987 is told was written. Along with verses Tvardovsky always wrote prose. In 1947 the book about the past war under the general title "Homeland and the foreign land" was published. Proved and as the deep, acute critic: books "Articles and Notes about Literature" (1961), "Mikhail Isakovsky's Poetry" (1969), articles about S. Marshak's creativity, I. Bunina (1965). Many years Tvardovsky was the editor-in-chief of the New World magazine, courageously asserting the right for the publication of each talented work getting to edition. Its help and support affected in creative biographies of such writers as Abramov, Bulls, Aitmatov, Zalygin, Troyepolsktsy, Molsayev, Solzhenitsyn, etc. On December 18, 1971 A. Tvardovsky died after a serious illness.